In some cases, the compound is no different chemically than the commercially available drug, though it may be delivered in a different form or dosage. In other cases, such as in bio identical hormone replacement therapy (link to BHRT), the compound is formulated to be molecularly identical to the hormones found in the patient’s own body and therefore, quite different from many commercially available medications. 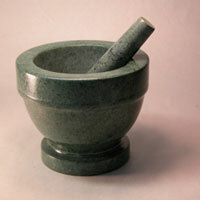 The practice of compounding dates back to the origins of pharmacy itself. For centuries, it was the individual pharmacist who compounded each formulation. But during the 1950s, compounding became less common as commercially available medications became readily available. In recent years, compounding has regained popularity, and is now used in nearly all areas of medicine. Modern technology and new research, combined with a deeper understanding of cellular physiology and molecular structure and function, have all led to advances in compounding science. Perhaps the most important reason that compounding has regained popularity is that it allows doctors, patients and pharmacists to work together as a team, customizing medications to fit the needs of each individual patient. There are several reasons why pharmacists compound prescription medications; yet, the most important one is patient non-compliance. Many patients are allergic to preservatives or dyes, or are sensitive to standard drug strengths. With a physician’s prescription, a compounding pharmacist can change the strength of a medication, alter its form to make it easier for the patient to ingest, and add flavor to it to make it more palatable. The pharmacist also can prepare the medication using several unique delivery systems, such as a sublingual troche or lozenge, a lollipop, or a transdermal gel. Or, for those patients who are having a difficult time swallowing a capsule, a compounding pharmacist can make a suspension instead. Often parents have a tough time getting their children to take their medicine because of the taste. A compounding pharmacist can work directly with the physician and the patient to select a flavoring agent, such as vanilla butternut or tutti frutti, that provides both an appropriate match for the medication’s properties and the patient’s taste preferences. Compounding pharmacists also have helped patients who are experiencing chronic pain. For example, arthritic patients who cannot take certain medications due to gastro intestinal side effects. Working with their physician, a compounding pharmacist can provide these patients with a topical preparation with the anti-inflammatory or analgesic their doctor prescribed for them. Compounding pharmacists focus on meeting special needs. This may involve compounding an eye drop in a sterile compounding lab, an injection for impotency, preparing medications for veterinarians in a variety of dosage forms and flavors, providing natural alternatives in hormone replacement therapy, or assisting physicians in treating hospice patients. The ultimate goal in preparing any of these customized medications is to help the physician and patient achieve a more positive therapeutic outcome.